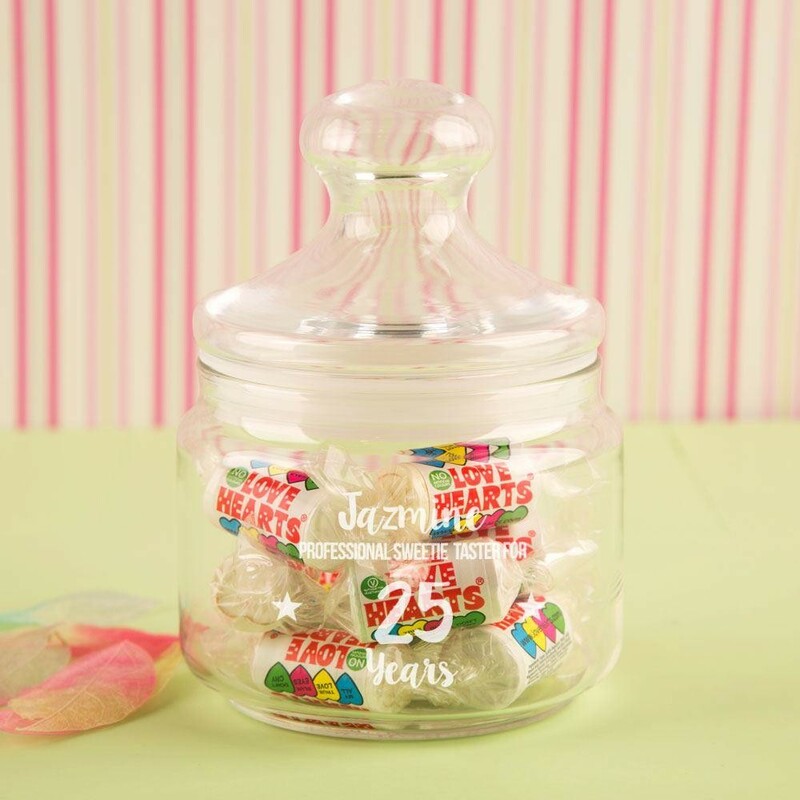 Our engraved glass jar makes the perfect Birthday gift for someone who deserves the title of a professional sweetie taster! 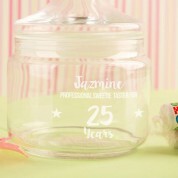 The simple design is personalised with the recipient's name and age. 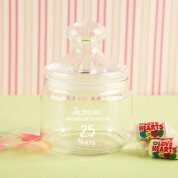 Make it truly personal by filling the jar with the recipient's favourite treats for their special day. 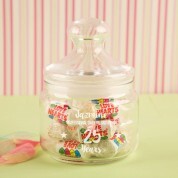 The handy lidded jar can be refilled and reused for years to come. All designs, personalisation and engraving are done in house by our production team to ensure the best quality is delivered to the customer.